Check Out Our Best Finance Offers For You. 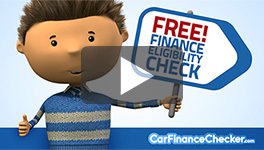 In association with CarFinanceChecker.com we can help find you our best finance deal based on your profile. The service is free and will take less than a minute. A C Cars is authorized and regulated by the Financial Conduct Authority. Our FCA number for consumer credit is 670788 and we are an Appointed Representative of Auto Protect (MBI) Limited which is authorized and regulated by the Financial Conduct Authority for Insurance Mediation their FCA number is 312143. You can check this on the FCA Register by visiting the www.fca.org.uk or by contacting the FCA direct on 0300 500 8082. A C Cars are a credit broker and not a lender.